I have been lucky to have access to some of the best massage therapists in London here at MassageJoy. I often spend time with the therapists learning about massage therapy techniques and uncovering the underlying concepts. I have learnt the different ways to work the muscles and tendons to deliver the desired results. However one of the most fascinating areas to learn about has been reflexology and I am constantly astounded by the expert knowledge required to perform a reflexology massage. I am also fascinated by the fact that in reflexology the focus is no longer on techniques to work muscles and tendons but on utilizing reflexology maps and reflexology charts as a guide to deliver results. MassageJoy is a mobile massage company with a primary focus on delivering massage therapy. However adding on expert therapists who can perform reflexology has been complementary to our offerings. In this post I will cover the most common questions people have about reflexology. Stay till the end and you will leave having learnt a tremendous amount about reflexology. Reflexology is a non-intrusive health therapy based on the theory that different points of the feet, lower legs, hands or ears correspond with different muscle groups or organs of the body. By working the reflexology points the practitioner aims to relax and rebalance the areas of the body to which these points relate. This leads to increased relaxation and wellbeing of the person. The theory of reflexology could be better understood by visualizing the reflexology points. 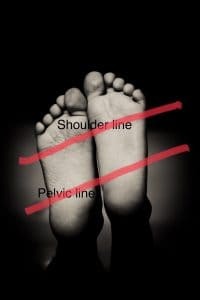 For example in foot reflexology there are 3 distinct zones defined by the bone structure under the foot representing the shoulder line and the pelvic line (horizontal lines). Additionally, there are 10 vertical lines which further divide the foot and these lines define where the reflexology points are located. Overall there are about 7500 nerve endings in our feet which are stimulated during the foot reflexology treatment. Similarly the same bone structures are found in the hands or ears and the same reflexology points can be transferred to the hands or ears. However foot reflexology is by far the most common modality. The reflexology map or the reflexology chart thus created by the lines is used as a guide by the practitioner to perform the treatment. Reflexology is typically performed without the use of oil or lotion however the practitioner could use minimal amounts of lotion to maintain smooth motion during the treatment. Reflexology is typically performed to reduce stress and return the body to its natural state of balance and has its origins in China and ancient Egypt and aims to treat the mind, body and spirit. The way I like to think about this is that Reflexology can be considered as a reboot to our body. For example when you reboot your computer all unnecessary processes and programs are killed off and the system is returned to its original state. Similarly a reflexology session reboots the body and returns the body to its state of natural wellbeing and balance. The primary benefit of reflexology is to improve wellness by returning the body to its natural state of balance and by improving blood circulation. Think of reflexology as a reset button that returns your body back to its natural state of balance and wellness. This manifests itself in the form of relaxation and reduced anxiety. Improved blood circulation: One of the primary benefits of reflexology is that it improves blood circulation throughout the body. By utilizing reflexology techniques the practitioner helps improve blood circulation to specific muscle groups and organs. Blood helps deliver oxygen and nutrients and helps eliminate toxins. A common after effect of reflexology is “purging” – eliminating toxins and waste from the body, which is driven by improved blood circulation. Pain relief: There are up to 7500 nerve endings in the feet and when the practitioner works the reflexology points they end up stimulating these nerve endings and effect the central nervous system. This in turn interrupts or alters the way we feel pain. However reflexology has shown results only for “internal” pain management related to migraine, headaches, indigestion and the like. Compliments cancer care: Reflexology is one of the most popular types of complementary therapies in the UK among people with cancer. Reflexology helps cope with the pain, anxiety and nausea associated with chemotherapy. Balances body through hormonal changes: Hormonal imbalance is a result of stress and is due to a hormone called cortisone. When we are under stress our bodies release cortisone as a natural way of responding to danger – the fight or flight response. This results in elevated heart rate and general anxiety which manifests itself in the form of high blood pressure, erectile dysfunction (men) and premenstrual syndrome (women). Reflexology works effectively to reduce stress and reduces the body’s cortisone levels. This makes reflexology an effective therapy to deal with issues related to hormonal imbalance. The side effects or disadvantages of Reflexology are minimal at best. Most of the side effects and disadvantages are related to temporary effects related to the body’s response to the treatment. Reflexology aims to return the body to its natural state of wellbeing and balance and a big element of it is to eliminate toxins from the body. Due to this after a reflexology treatment you could feel tired, sweaty and in certain cases even experience diarrehea as your body eliminates toxins from your body. All the disadvantages you experience after the treatment will be temporary. In some cases you might experience pain during the treatment. This is something your practitioner will watch out for and will respond accordingly by continuing the treatment or stopping it immediately as the situation demands. Also during the treatment you might feel relaxed and calm but your body may be jittery and in a state of anxiety. In this case again the practitioner will stop the treatment for the moment because of your body’s reaction to the treatment. Hot flashes and increased sweating: The reflexology treatment increases blood circulation to targeted muscle groups and organs. This increased blood flow can use the blood vessels to widen to cool off leading to increased sweating, feverishness and sometimes a red, flushed face. Emotional euphoria: Reflexology leads to deep relaxation and during the treatment there is a sudden release of a lot of tension and stress from our bodies. Different people react differently to this sudden release of stress and tension. Some people report feeling a deep sense of euphoria and some people have reported feeling down and depressed after the treatment. These reactions are only temporary and do not typically last longer than 24 hours. Dizziness and nausea: Again it’s perfectly normal to experience nausea and dizziness right after the treatment. This is another side effect of your body releasing tension/stress and toxins. Although the side effect and disadvantages mentioned are temporary it is vital you are aware of them and take the necessary precautions. Make sure you drink plenty of room temperature water and take sufficient time to rest after the appointment. It is vital to stay hydrated and you should be consuming fluids to aid the process of eliminating toxins from your body. Also the treatment could hamper your sleep schedule so it is advised not to get the reflexology treatment before sleeping. Do allow enough time to deal with the side effects (need to flush the system, hot flashes). It is common to mistake reflexology to be just another type of massage. However reflexology is not a massage. Reflexology is a modality to restore the normal energy flow of the body by applying pressure on specific reflexology points on the feet, hands or ears. Reflexology is a great tool to deal with any stress related disorder and to release the tension from the body, for example to deal with chronic indigestion or headaches. Using reflexology the practitioner aims to heal muscle groups or organs that are represented by the corresponding reflexology points on the feet, hands or ears. The primary aim of reflexology is to restore the body back to its natural state of balance. Massage therapy on the other hand is used to heal the body by working directly on the affected muscles, tendons and underlying fascia. During a massage the therapist will be working the soft tissues of the body – the muscles and fascia, to release tension from the body. The therapy work is performed directly on or near the areas of the body that require healing. The focus is on relaxation and healing of the affected areas. Even when it comes to the practitioners of reflexology and massage therapy the knowledge required is completely different. Massage therapists study the anatomy of the body and learn techniques and methods to work the muscles and tendons to deliver results. Reflexologists on the other hand study the connection between reflexology points and the corresponding muscle groups or organs these reflexology points represent. They use the reflexology chart or the reflexology map as a guide to help them in their sessions. A good way to differentiate between a reflexologist and a massage therapist is to ask for the number of hours of practise per week they have. A massage therapist might practise reflexology techniques for about 2-3 hours per week combined with other massage therapy techniques. A massage therapist will typically touch upon basic reflexology techniques during a full body massage and might use a sliding (rubbing) motion on the feet. However they might not be completely knowledgeable of working the reflexology points. A reflexologist on the other hand typically solely focusses on reflexology and will work the feet, hands or ears either by tapping or by pressing the reflexology points between their thumb and fingers. Additionally a reflexologist will rely on the position of the reflexology points as shown on a reflexology chart or a reflexology map. Keep in mind that not every massage therapist is a reflexologist. The techniques utilized during a reflexology treatment are very different from those utilized during popular massage sessions. For example foot reflexology utilizes techniques that are very different from the techniques utilized during a Swedish foot massage session and allows an interaction with the foot in unique and new ways enabling the practitioner to concentrate on the feet for up to 45-60 minutes. Different parts of the world have different accepted standards and techniques. In North America and the UK reflexologists use a tapping technique combined with applying pressure on the reflexology points by placing the areas being worked between the thumb and fingers and actually feeling the reflexology points. The pressure applied is minimal. Often new clients will be surprised that more pressure is not being applied and this is because results can be achieved by applying mild pressure on the area by pressing the area between the thumb and fingers. Also by limiting the pressure applied the practitioner is able to perform long sessions and not feel pain in their own hands. As always the guiding principle is based on the location of reflexology points as indicated on the reflexology chart or the reflexology map. Another basic technique is to use compression by pressing the thumb on the foot followed by a straightening of the thumb and repeating the process as the practitioner traces the length and breadth of the feet. A guiding principle is that the foot is never allowed to flop around as the practitioner is performing the treatment. So the practitioner will always be cradling the foot with one hand as pressure is being applied with the other. A good rule of thumb is that reflexology should be performed with minimal to no oil/lotion. However your practitioner might use minimal amounts of oil/lotion to enable smooth motion and strokes. Keeping the feet warm is a big part during a foot reflexology session and part of the technique involves using hot towels and wrapping the feet in them and only exposing them when the particular foot is being worked on. At no point are the feet left being cold or wet. A reflexology chart also known as a reflexology map is a visual guide showing the areas on the feet (in foot reflexology), on the hands (in hand reflexology) or on the ears (in ear reflexology) that directly represent specific muscle groups, organs and glands in the body. The reflexology chart or the reflexology map is the essential guide used by reflexologists to perform the treatment. The underlying principle in reflexology is that by applying pressure on reflexology points on the feet, hands or ears the body can be returned to its natural state of balance and wellbeing by affecting the corresponding muscle groups, organs and glands. In foot reflexology all the areas of the feet – the top, bottom and the sides, represent specific muscle groups, organs and glands. A simple example could be to consider the location of the solar plexus reflexology point as indicated by the reflexology chart. The solar plexus is the bundle of nerves just below the diaphragm. This is represented on the reflexology chart (foot reflexology) as the point just below the diaphragm guide line and in line with the third toe (see image). Hence by working this point a reflexologist can affect the solar plexus. Similarly by using the reflexology chart or the reflexology map the reflexologist can affect specific muscle groups, organs and glands. This is the sole purpose of the reflexology chart or the reflexology map. A practitioner just beginning their career might rely heavily on the reflexology chart as a guide. However experienced practitioners can easily work without looking at the chart. However massage therapists not qualified in reflexology might have rudimentary knowledge of the reflexology chart and might use basic techniques to work the points related to the solar plexus, head and brain. If you are interested in learning how to read the reflexology map or the reflexology chart you can use this resource as covering the specific reflexology points on the reflexology chart is out of the scope of this article. Foot reflexology is the specialized reflexology modality where the practitioner focusses on the feet to return the body back to its normal state of balance and wellbeing. Reflexology can be performed on the feet, hands, face or ears, however foot reflexology is the most common modality. In foot reflexology specific points on the feet (underside of the feet, over the feet and sides of the feet) represent specific muscle groups, organs and glands. The practitioner works to apply pressure on these reflexology points to affect the corresponding body parts. For example to affect the head and the brain the reflexologist will work on the big toe. Similarly working the centre of the feet just below the diaphragm guide line will affect the solar plexus. This should give you an idea of how the reflexologist works on the feet to return the body back to its natural state of balance and wellbeing. The foot reflexologist is generally guided by the foot reflexology chart or the foot reflexology map. The reflexology chart represents the reflexology points on the feet that correspond to specific body parts. The reflexologist uses this chart as a guide during the session. The feet hold a special significance in reflexology. The feet connect us to the earth and keep us “grounded”. There are close to 7500 nerve endings in the feet allowing the reflexologist to affect every part of the body simply by working on the feet. This is one of the reasons why foot reflexology is the most common modality. A common misconception is that foot reflexology is a foot massage. This cannot be further from the truth. In a common foot massage basic techniques from the Swedish massage style are utilized. The massage therapist aims to deliver results by directly working on the muscles and tendons of the feet. However in foot reflexology the practitioner is working specific reflexology points to deliver overall balance and wellness and as such foot reflexology is considered to be a holistic approach to wellbeing. Hand reflexology is a great modality for an impromptu treatment especially for people who are anxious and dealing with emotional issues. The basic concept of hand reflexology is the same as the concept of reflexology in general. There are specific points or zones on the hands that represent specific body parts – muscle groups, organs and glands. By applying pressure on and working these reflexology points the practitioner can help return the body to its natural state of balance and wellbeing. Instead of performing the reflexology techniques on the feet (foot reflexology) the practitioner focusses on the hands. It is interesting to note that the finger tips have the largest density of feeling receptors in the body with 2500 per cm squared. This is one of the reasons why hand reflexology is a great holistic treatment since it helps improve general wellness and balance from the inside out. The reflexologist is guided by the hand reflexology chart. The hand reflexology chart outlines the reflexology points and zones on the hands and the corresponding body parts they represent. 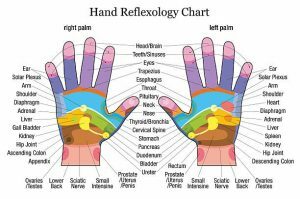 A hand reflexology session usually lasts for about 45-60 minutes. The treatment usually starts off by getting the person used to touch. The practitioner will hold the clients hand in theirs and use gentle strokes to get the client comfortable. Just like foot reflexology, hand reflexology is performed without or minimal use of oils/lotion. However unlike foot reflexology the practitioner does not need to focus on keeping the hands warm using towels and wraps because there is already sufficient circulation in the hands. The session usually begins by working the zones representing the solar plexus. During hand reflexology the usual tapping and compression techniques are used. The pressure points and zones are pressed between the thumb and fingers of the practitioner to deliver the results. Hand reflexology is used to deal with issues such as headaches, indigestion and internal pain. Whether you are going in for a foot reflexology or a hand reflexology session your experience will be fairly different from the experience you have in a traditional massage therapy session. The aim of the reflexology session is to eliminate stress and improve blood circulation thereby restoring your body back to its original state of balance and wellbeing. You will typically be asked to wash your feet (foot reflexology) or hands (hand reflexology) and made to sit in a zero gravity chair. 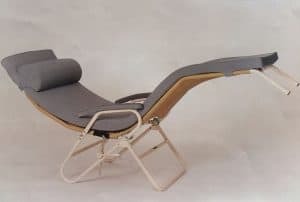 A zero gravity chair is part of the equipment needed for a professional reflexology session just as a massage table is required to offer a professional massage therapy session. A zero gravity chair enables you to rest with your lower legs and feet above your heart. Due to this position of having your lower legs and feet above your heart the weight on your spine is reduced allowing you to relax comfortably. This chair also gives the practitioner easy and clear access to your feet during the length of the session. Once you have settled in the chair the therapist will get the materials needed for the session – warm and dry towels. During a reflexology session you are fully clothed and it is great for people who do not like to disrobe for a therapy session. Another distinguishing feature of reflexology is that minimal to no oils and creams will be used. When it comes to foot reflexology the therapist will begin by wrapping your feet in warm towels. The purpose of this to keep your feet warm and towels will be used throughout the session to keep your feet warm. Once the therapist is ready to begin they will remove the warm towel from your feet and dry your foot before beginning the session. The other foot which is resting will continue to be wrapped in a towel to keep it warm. However during a hand reflexology session the warm towels are only used initially to warm the hands and the free hand is not kept wrapped in a towel because there is already sufficient circulation in the hands. The therapist will then begin the session usually by working on the solar plexus reflexology zones. However different therapists have their own routines and flow. During the session the therapist will work by looking for inconsistency, using the thumb and fingers to manipulate the skin and assesses your general health and identify areas where work needs to be performed. All throughout the session the therapist will keep a close eye on you to identify your comfort levels and monitor any pains you might be feeling. Depending on your body’s reaction the therapist will continue the session till the end or might stop it mid-session if your body reacts adversely to the treatment (restlessness, excessive heat). All these side effects will be temporary and will subside within 24 hours. Your therapist will make you aware of these side effects and will advise you to remain hydrated. After you have relaxed for some minutes after the session your session will end and you will be on your way. During a reflexology session you might experience pain but your therapist will keep a close eye on you and monitor your level of pain and restlessness. It is normal to feel pain during a reflexology session. The pain experienced typically indicates issues related to the normal flow of energy in your body and guides the reflexologist to work on the affected areas. However an absence of pain is not an indication of perfect health. In addition to pain the reflexologist will monitor your body’s reaction to the treatment. There are instances where you might feel completely relaxed, however your body might be restless. In this case the therapist might even stop the session since your body is unable to get into a state of relaxation. Not every massage therapist is qualified to perform a reflexology session. In fact, the knowledge required to perform reflexology effectively is unique and requires study and years of practise. One of the ways to find a reflexologist is to directly contact your city’s reflexology association. They will provide you with a list of reflexologists in your area. One of the simplest ways to find a trusted, vetted and experienced reflexologist is to use a mobile massage service. At MassageJoy we have a database of highly trained, experienced and trusted reflexologists who will visit you at your home, hotel or office for the appointment. They will bring everything needed for the appointment and you can book a therapist in under 60 seconds. We do the vetting for you so you can book a therapist with trust and confidence. In this article I have tried to cover all the common questions you might have about reflexology. Now, I would like to hear from you. If you found the information useful or have additional information we can add please reach out to us. If you are in London then go ahead and book a London mobile massage and have one of our trained therapists attend to you in the comfort of your home, hotel or office.